Teething can be hard on babies. It can hurt as teeth break through the gums. While some babies weather it fine, others are downright miserable. It’s hard to watch a baby be miserable, so it’s understandable that some parents and caregivers reach for one of the products that contain benzocaine, which can numb the gums and soothe the pain. Except that it’s a really bad idea. Benzocaine is found in products like Baby Orajel, Anbesol, or Orabase, as well as products marketed for sore throats such as Cepacol or Chloraseptic. But along with numbing pain, benzocaine can change hemoglobin into methemoglobin and cause a dangerous condition called methemoglobinemia. Hemoglobin is the compound inside the red cells of the blood that gathers oxygen from the lungs and distributes it to the tissue. When the iron in hemoglobin is exposed to certain chemicals including benzocaine, it changes to a form that holds on to the oxygen instead of letting it go — which means that tissues in the body don’t get the oxygen they need. Because babies and toddlers are smaller, with less blood volume, they are at higher risk for this side effect. So are people with heart disease or lung disease, or the elderly: their oxygenation and circulation is already not working perfectly, so an additional problem with getting oxygen to their body affects them even more. Symptoms of methemoglobinemia include pale or blue skin, dizziness, headache, and other pain. As the amount of methemoglobin increases it can lead to seizures, coma, and even death. There is an effective treatment if the condition is recognized and the person is brought to a hospital. The Food and Drug Administration has been warning about methemoglobinemia for a long time, but they are now taking the additional step of asking companies who make benzocaine-containing products to stop making them for children under the age of 2. Methemoglobinemia doesn’t happen every single time a person takes something with benzocaine. Since 1971, there have been 400 cases reported; even though this is likely an underestimate of the total cases, as many more than 400 people have used benzocaine. But the question is: why use a product that can be dangerous when there are other options for managing pain? When it comes to options for managing teething pain, simple is best. Just chewing on a cold teething ring or other teething toy (or even a cold washcloth) can make a miserable baby feel better — as can a dose of acetaminophen or ibuprofen (for children under 2, it’s best to check with the doctor for the correct dose for the child’s weight). A little extra cuddling and TLC can be comforting too. 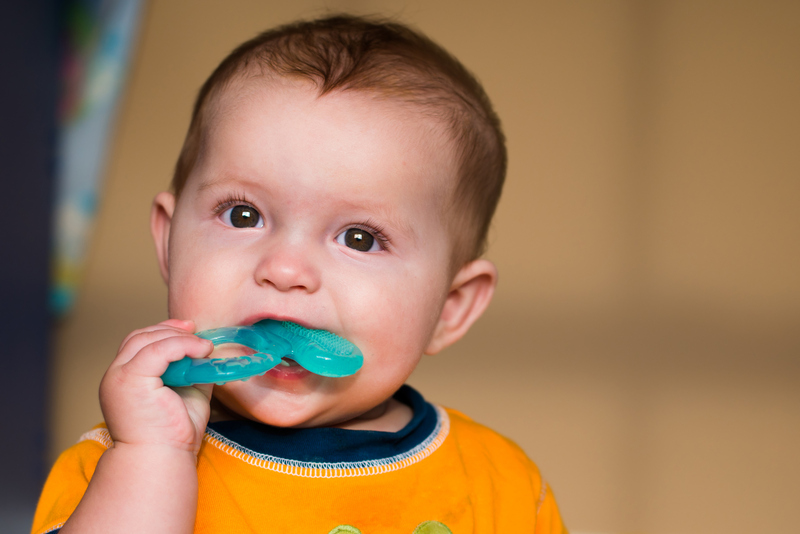 There are many products marketed as natural teething remedies, with many different ingredients. Before you use one, check with your doctor as to whether the ingredients are known to be effective — and whether they are safe for your child. It’s hard to have a miserable baby, that’s true. But just say no to benzocaine. It’s not worth the risk.